Interesting Possum Pictures and Facts - The possum is a medium-sized marsupial that is natively found in Australia, Papua New Guinea and Sulawesi, which is a tropical island found in the Indonesian Archipelago. Today the possum has also been introduced to New Zealand and parts of China. There are 69 different species of possum found in the far east, all of which range of size and colour. The pygmy possum is the smallest species of possum in the world, growing to just 10cm tall, where the brushtail possum can reach more than a meter in height. 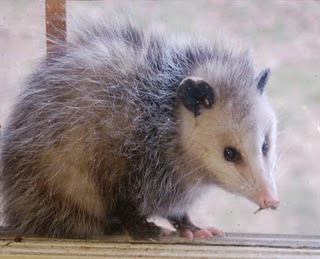 In general, the possum is roughly the same size and weight of a domestic cat. 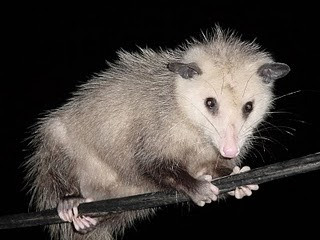 The possum is not to be confused with the opossum, which is found in North America and is the only marsupial which inhabits areas outside of Australia and it's surrounding islands. 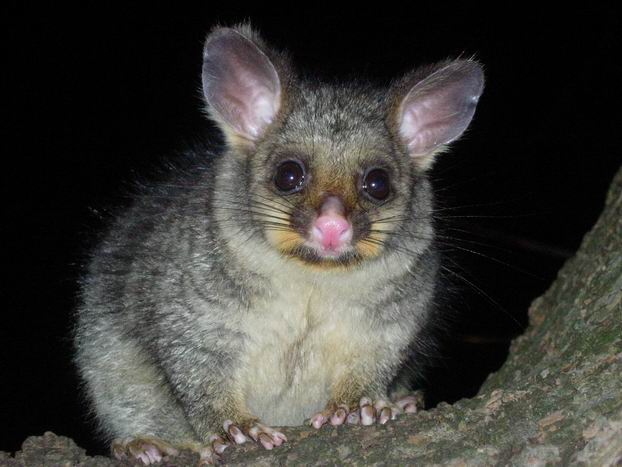 Possums tend to be found inhabiting bush-lands and rainforests where the possums live in hollow trees and logs. 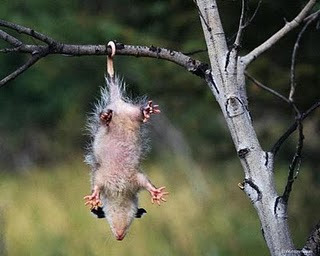 The possum lives a predominantly arboreal lifestyle meaning that the possum spends most of it's time in the trees. Possums are nocturnal animals and therefore, the possum only hunts for food in the cover of the night. The possum spends the lighter daytimes, resting in hollow trees out of site from predators. Possums have long prehensile tails, which are naked on the underside which gives the possum more grip when it is in the trees. Possums also have sharp claws which enable them to climb up tree trunks more easily. Possums are omnivorous animals so possums naturally eat a variety of both plants and other animals. Possums feed on almost anything they can find including insects, leaves, flowers, nectar, fruits and even small mammals, birds and reptiles. The possum has a number of predators in the wild, which vary depending on the region which the possum inhabits. 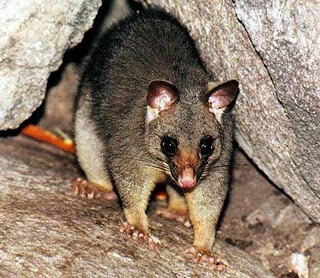 Foxes, cats and birds of prey are the main predators of the possum but other animals such as Tasmanian devils, dogs, dingos and snakes also prey on the possum. The possum is a very solitary animal, and possum individuals only really come together to mate. The possum is thought to breed throughout the year rather than having a strict breeding season. 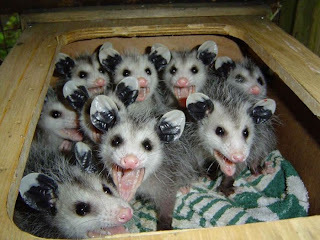 The female possum gives birth to between 2 and 4 baby possums after a gestation period of just a couple of weeks. As with all marsupials, the female possum has a pouch on her tummy which the new born possum babies crawl into and stay until they are bigger, less vulnerable and able to start feeding themselves. Typically only one of the possum babies will survive and emerge from the pouch after 6 or 7 months. 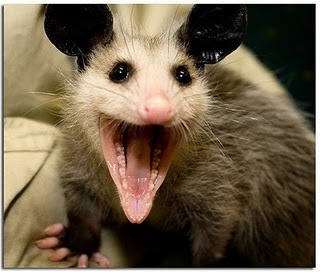 3 Responses to "Interesting Possum Pictures and Facts"
This seems to be a great site which offers Animal Control Austin, Bee Removal Austin, Wildlife Removal Austin etc. and i would surely like to try their service...i had been relying on Rodent Control Austin earlier and they too offered good stuff. They are now getting into our own roofs as well as ceilings, keeping all of us awaken during the night time as well as urinating as well as defecating everywhere you go. Not only this possums including clean vegetables and fruit also to ensure the back yards are actually problem management some sort of concealing.